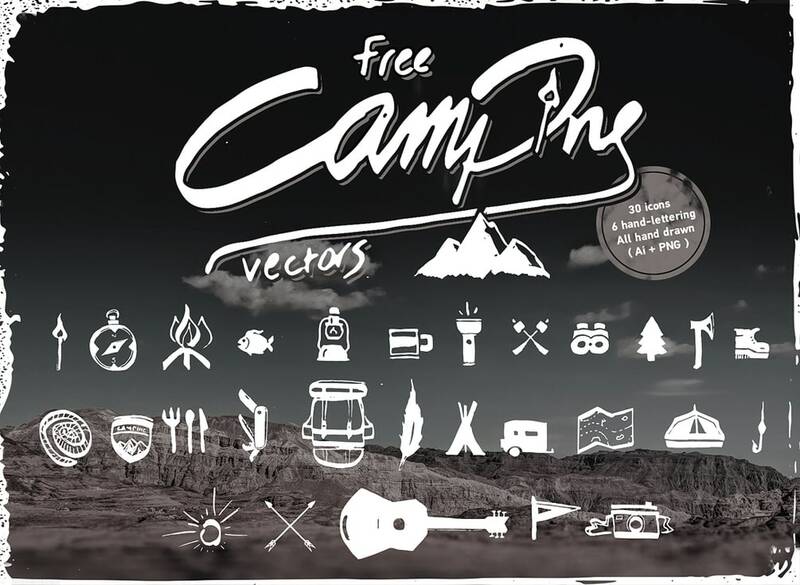 We’ve catalogued the best free camping vector icon sets available on the web – perfect for your outdoor themed web and print projects. Each free camping vector icon set on our list is easy to download and contains multiple graphics that include hiking gear, weather icons, tents and survival tools. They are ideally suited for use on websites, posters and flyers or as part of hipster-centric logos. 12 hipster-friendly, fully editable vectors that playfully cast nature iconography in a minimal, flat design style. A collection of 40 camping vector line icons.